Holidays in Scottsdale are immensely pleasurable because of the sunny weather here. In fact, you can enjoy the sunny climate all throughout the year at Scottsdale which enjoys 325-350 days of sunshine. Scottsdale is the place to be at any point in the year. Wildflowers blooming across hiking trails and roadways are a sight to behold. This baseball haven includes Giants, Rockies and Diamondbacks is where spring fever catches on. Spring training at Scottsdale stadiums here are simply amazing to see. This is a perfect weather for Sonoran Desert exploration and sightseeing explorations. Expect to experience moderate to high average temperature making for a pleasant time. You can enjoy amazing seasonal rates at accolade winning hotels and resorts as well as golf courses. Sizzling temperatures make for loads of fun under the sun at the many water parks. Get a load of the Desert Botanical Garden and shopping centers here. This ranges around 80 to 90 degree F/ 30-35 degree Celsius. The hot temperatures here are accompanied by a humid sultriness. 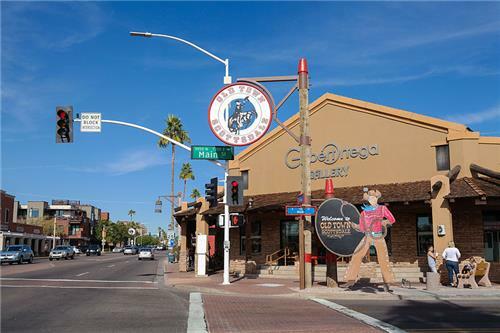 Scottsdale is known for its fall for arts events and international film festival during this time. The Farmer’s Markets offers amazing returns and Scottsdale is known for its awesome weather at this point in the year. This ranges from 60 to 65 degree F. It is pleasant but not warm to the point where the sun warms the sky to the extreme. This is the perfect weather for sightseeing and adventures. Zoo Lights and Las Noches de las Luminaries are only some of the many interesting events held in winters at Scottsdale. Don’t miss out out on the Fiesta Bowl either. Plenty of sunshine and high temperature averaging 70 degree F is a staple in Scottsdale winters.